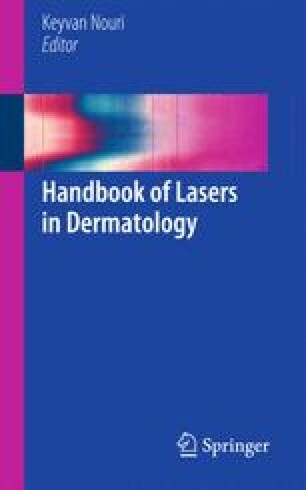 The use of lasers in dermatology had increased significantly in the past decade. The psychological estate of the patients, the concerns and possible side effects that laser therapy may cause should be carefully learned, presented and discussed previously. This chapter will present some concepts of basic psychology, advice about patients expectations, and tips for the establishment of a good doctor-patient relationship. American Psychological Association. Available: http://www.apa.org/support/about/apa/psychology.aspx#answer. Accessed 14 Jan 2013. Jayasankar J. Patient expectations: how do they matter? http://www.aaos.org/news/aaosnow/mar09/managing6.asp. The International Classification of Diseases, World Health Organization. Available: http://www.who.int/classifications/icd/en/. Accessed 14 Jan 2013. The diagnostic and statistical manual of mental disorders, 4th edn (DSM-IV) and fourth edition text revision (DSM IV-TR). American Psychiatry Association. Available at: http://www.psychiatry.org/practice/dsm. Accessed 14 Jan 2013. Secemsky B. Health care 101: dealing with your difficult patient. Available: http://www.huffingtonpost.com/brian-secemsky/difficult-patients-_b_1699808.html. Accessed 12 Jan 2013. Caruso R, Biancosino B, Borghi C, Marmai L, Kerr IB, Grassi L. Working with the ‘difficult’ patient: the use of a contextual cognitive-analytic therapy based training in improving team function in a routine psychiatry service setting. Community Ment Health J. 2013;49(6):722–7. doi: 10.1007/s10597-012-9579-x. Epub 2013 Jan 5.